Ajax, ON: Executive coach Lorna Weston-Smyth recently received two awards including Overall JMT DNA Culture Award, and the Culture Award for Exceeding Expectations at the International Maxwell Certification and Conference in Orlando Florida on March 9th, 2019. These prestigious accolades are awarded to members of the John Maxwell Team (JMT) who are nominated for living out the company’s specific values, which in Lorna’s case was ‘Exceeding Expectations’. She then went on to be recognized as the overall winner of the Culture Awards, out of the 10 category winners. Candidates for each award category must be nominated, with a clear demonstration of how they live out such a value and out of 24,000 members Lorna was a clear decision, says President Paul Martinelli, who recommended her. “When I was given the short list for the final decision, it was a very easy and clear choice! …I truly treasure your contribution and friendship and could not be happier that you were the one I had the honor of suggesting to the committee, who I believe lives our values always and, in all ways, more than any other of the nearly 24,000 members”, says Martinelli of Lorna. Lorna Weston-Smyth is an Independent Executive Director with the John Maxwell Team and has taken great pride in continuously training and learning since joining the team in 2011. Her capabilities as a leader have made her a valued member of the entrepreneur and local business community in Durham Region, and this award is significant to the contributions Lorna not only puts into her work, but also speaks to the professional way in which she conducts herself within these communities. The JMT Culture Award for Exceeding Expectations is given to outstanding members who demonstrate the ability to ‘always go the extra mile in presentation, interaction, and delivery, living and leading with an assurance of success’, while the Overall DNA Culture Award is presented to the member who stands out from all category winners as representative of all of the JMT DNA values. 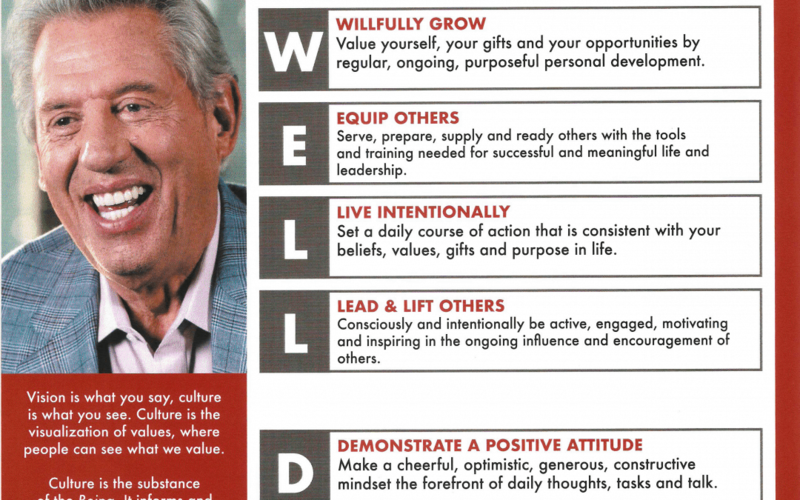 The John Maxwell Team is the largest, fastest growing leadership development and training organization in the world, and its members of elite coaches, teachers, speakers, and professionals seek to transform lives by executing Maxwell’s core values. Lorna was present at their semi-annual conference in Orlando, when she received the awards.